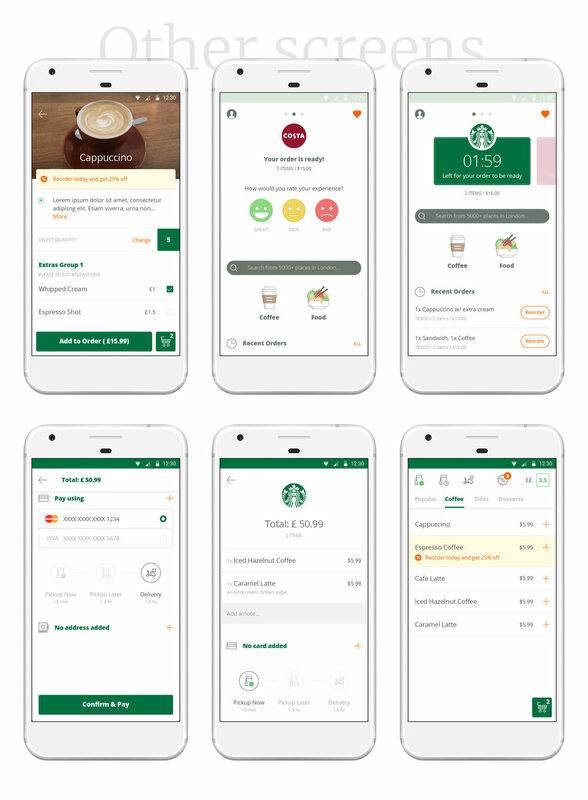 Instantt enables customers to order and pay for their food and beverages for a quick pickup nearby. Rather than waiting in a queue, simply fire up instantt to place your order and receive a confirmation along with an ETA. Once ready, walk in to pickup your fresh baguette and cappuccino. The design focuses on speed and simplicity to serve users who are constantly on the go.